St. Nicholas Owen is one of the 40 Martyrs of England and Wales; he died in 1606. Own was the son of an Oxford carpenter becoming a carpenter himself. His personal mission was to secretly construct well-disguised ‘priest-holes’, or hiding places for hunted priests, during the night. Nicholas Owen was a professed co-opperator (lay) brother of the Society of Jesus in England. 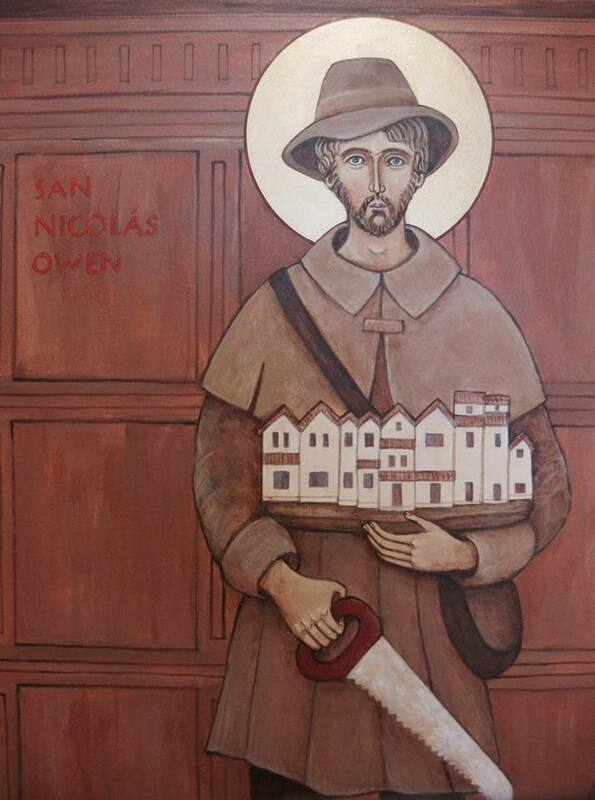 On the mission, Owen served jail time for defending the martyred St. Edmund Campion. History shows that Nicholas masterminded the priest’s escape from the Tower of London and he was a wanted man after the Gunpowder Plot of 1605. His martyrdom was the usual English horror with his entrails burst open.